Contact Butter Plumbing today for all of your plumbing needs. We are known in the Las Vegas area for having a very Fast response time in the Las Vegas area. Broken pipes? Water Quality testing? We can help. For over 25 years, we have dutifully served the Las Vegas, NV community, ensuring that our customers have everything they need to keep their homes comfortable and convenient. 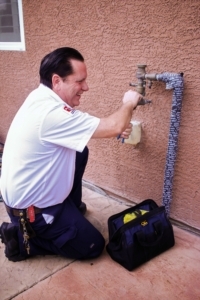 We are locally and family owned and operated, and our plumbers pride themselves on their ability to troubleshoot problems and install new products with ease, 24 hours a day! Call us today at 702-655-5214.